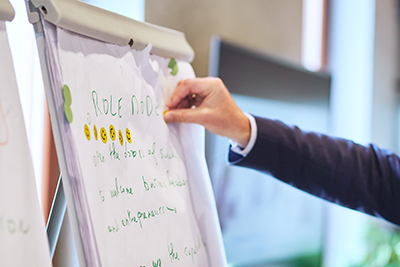 Funded under the EU COSME programme, the workshop brought together 60 key players in the entrepreneurship education ecosystem from Ministries, businesses, NGOs and academia from 11 countries for interactive peer-learning sessions lead by JA Europe and the EE-HUB. An EE-HUB Round Table supported by Visa and dedicated to Getting the Skills Right for the 4th Industrial Revolution took place in Brussels on 22 November 2018. Around 50 participants from public and private sectors working in the area of skills and education discussed the challenges of the 4th Industrial Revolution and what the implications are for equipping future generations with the right skills. The event was hosted by the Norwegian Ambassador to Belgium, H.E. Ingrid Schulerud. The European Commission published a report on ‘The State of University-Business Cooperation in Europe’. The project has been conducted between 2016-17 with the aim to get a more profound, comprehensive and up to date understanding of the state of University- Business Cooperation (UBC) in Europe, from the perspective of both the higher education institutions (HEIs) and the business sector. 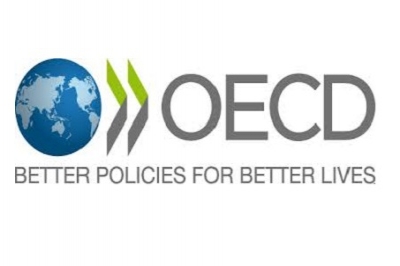 This policy paper was prepared as a background document to the parallel session on Developing entrepreneurship competencies at the OECD Ministerial Conference on Small and Medium-Sized Enterprises, that took place on 22-23 February 2018 in Mexico. The "EntreComp into Action: get inspired, make it happen" has been published. This guide is a tool for those individuals and organisations who wish to explore why, when and how they can use the European Entrepreneurship Competence Framework (EntreComp). On 17 January 2018, the European Commission has published Recommendation on Key Competences for Lifelong Learning together with the Annex to the Recommendation. 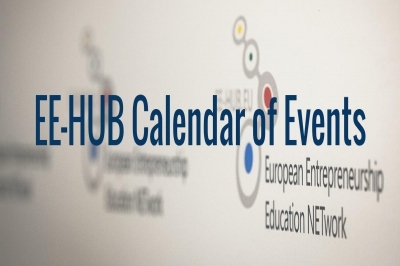 Following the success of Italy, the EE-HUB (Entrepreneurship Education NETwork) launched six new national HUBs in Bulgaria, Czech Republic, Slovakia, Hungary, Romania and Turkey. In collaboration with the national JA organisations and Citi Foundation under their Pathways to Progress initiative, these clusters are helping to move entrepreneurship education forward on the ground. 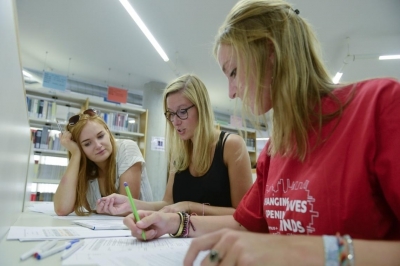 What more has to be done to include entrepreneurship in school programmes in Europe? 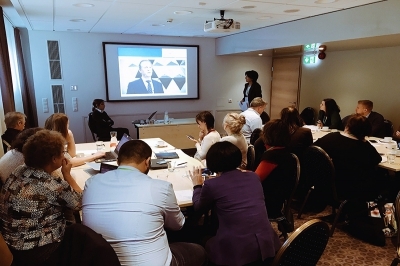 Leading educationists and government officials from 9 European countries (Belgium, Czech Republic, Estonia, Finland, Italy, Latvia, Norway, Romania, and Turkey) attended a round table in Tallinn on 17 November at the invitation of the EE-HUB to grapple with this question. 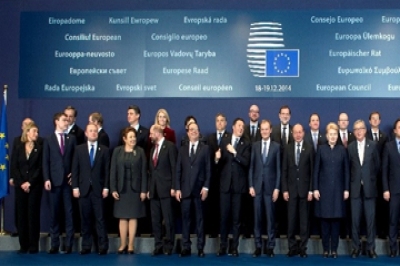 Their answers are set to guide the work of the EE-HUB and Europe’s policymakers in the months and years to come. The European Commission has adopted a proposal for a European Framework for Quality and Effective Apprenticeships. The Commission has identified 14 key criteria that EU countries and stakeholders should use to develop quality and effective apprenticeships. 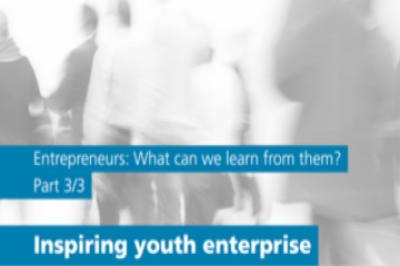 This report presents the contribution that youth work makes to young people's entrepreneurial learning. • The first ever European Summit for Entrepreneurship Education took place on 11-12 July, bringing together 700 people from more than 40 countries with participants of all ages from 15 and up. • Participants were invited to contribute to addressing the main challenge of Europe today: how to make Europe more competitive by making entrepreneurship education available to more young people. 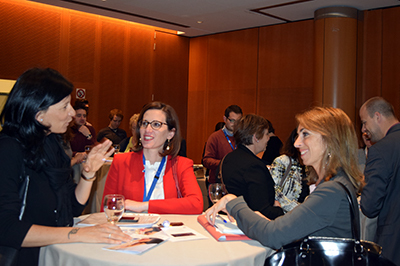 On 4 May, a special EE-HUB round table took place at the European Parliament to officially launch the ‘Switch On Europe’ campaign, dedicated to raising awareness of the need for further developing entrepreneurship education to boost jobs and growth in Europe. While 3 out of 4 European teachers do not feel encouraged to bring innovation into the classroom and 4 out of 10 companies across the EU have difficulty finding staff with the skills they need, students step up and ask for a change in education. 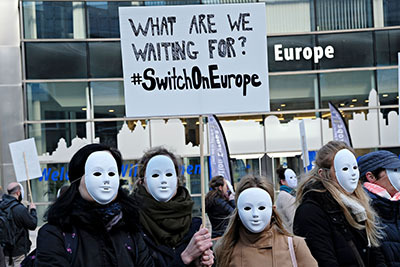 Wearing white masks and holding signs, students who have had an entrepreneurial experience are asking for a change in education. Join us on 25 April from 8.30 to 12.30 in front of EU institutions, calling on policy-makers for more support to develop entrepreneurial mindsets in Europe. 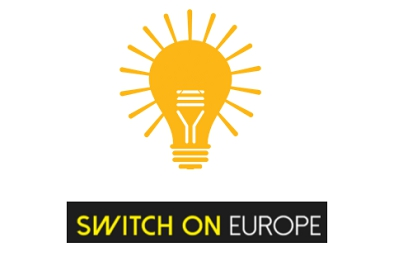 Help us #SwitchOnEurope! 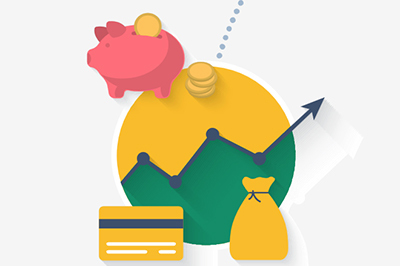 A group of nine European organisations and associations have today launched a new European Platform for Financial Education. 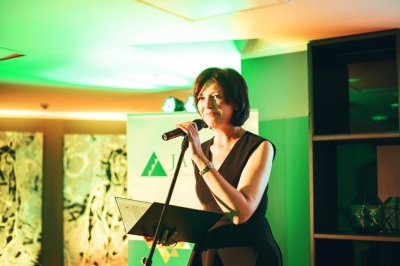 The initiative aims to promote the need for financial education and to boost financial literacy in Europe, particularly among young people and entrepreneurs. It also seeks to encourage EU-level leadership in this field. A series of 5 round tables took place under the umbrella of the EE-HUB so far. The purpose of these peer learning activities is to stimulate and speed up progress in the field of entrepreneurship education by taking the good practices and its success factors into an outreach and sharing process. 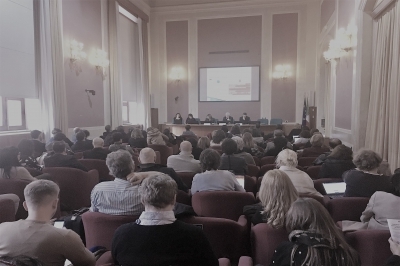 Following the creation of the European HUB for entrepreneurship education (EE-HUB) in 2015, JA Italy launched the first national EE-HUB, ‘EE-HUB Italy’, in Rome on 16 January 2017. On 16 January, JA Europe together with JA Italy and the Italian Ministry of Education (MIUR) hosted a special round table in Rome, Italy. 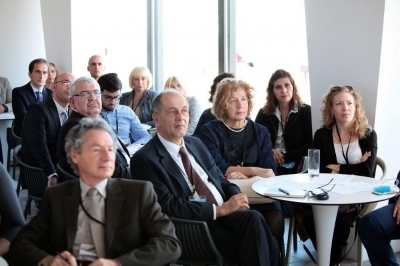 The meeting gathered over 90 participants from various fields, including Ministry representatives from nine European countries, along with business leaders, and educators. 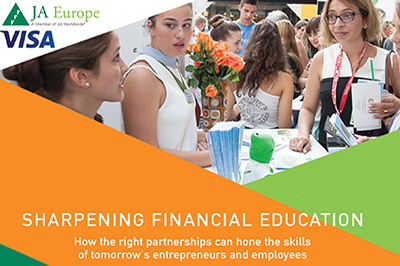 JA Europe and Visa Europe launch a new report on financial education that analyses the gap between young people’s financial capability and employers’ needs in terms of financial skills and knowledge. 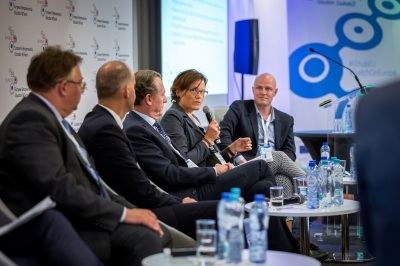 The high-level round table “Celebrating Entrepreneurship Education” took place in Riga (Latvia) on September 22-23. The EE-HUB experts gathered more than 60 good practices over the past year and now it's time to share the recommendations, the findings and the good practices in a series of dissemination events (webinars and roundtables). This latest EURYDICE report provides the most recent information on strategies, curricula and learning outcomes, and also covers themes such as funding schemes and teacher education. The analysis focuses on primary education, lower and general upper secondary education as well as school-based initial vocational education and training. Information covers 33 countries participating in the Eurydice network. 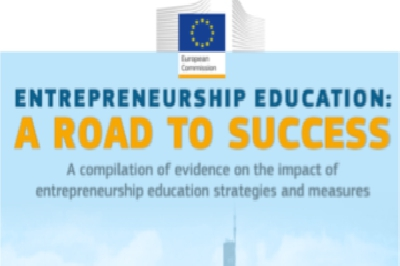 In addition, national information sheets provide an overview of entrepreneurship education in each country. The reference year is 2014/15. Full report here. 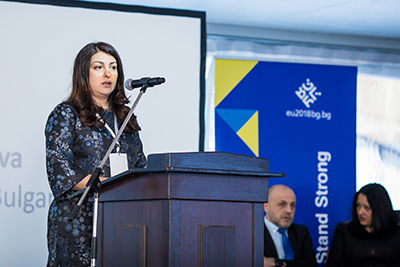 During the CSR Europe's Enterprise 2020 Summit, the European Commission and business leaders launched the 'European Pact for Youth' to improve partnerships between business and education to boost the chances of young people getting jobs. Read more here. Approved on September 8th, the report is calling for the education systems to include entrepreneurship as a topic in the national education curricula at all levels and is inviting the EC to support and coordinate this process through the ERASMUS+ Programme. 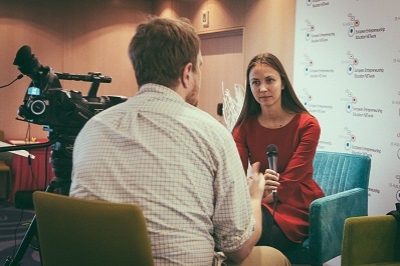 MEP Ambassador Michaela Sojdova is the driving force behind the initiative. More about the report here. 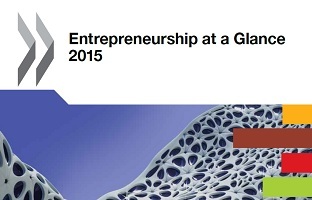 The OECD published in August ‘Entrepreneurship at a Glance 2015’ a report presenting key developments on entrepreneurship in 36 countries on the basis of harmonised indicators. We need to increase the interaction between the education and the business community. We know both sides want to increase the cooperation, but it seems like there is a need for a “broker” in the middle, says Caroline Jenner. SMEs and startups need a change at the policy level and the EE-HUB wants to help that process. 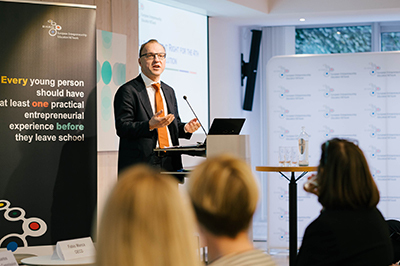 50 entrepreneurship experts and 13 MEP Ambassadors are behind the European Entrepreneurship Education NETwork, the first pan-European body dedicated to moving entrepreneurship education forward in Europe. It is a European goal that every young person should have a practical entrepreneurial experience before they leave school. Teachers should be confident in their teaching and well equipped for delivering the entrepreneurship education curriculum and the business community fully involved. A new initiative aims to promote entrepreneurship education and make policy recommendations that can be put into effect by national school systems. 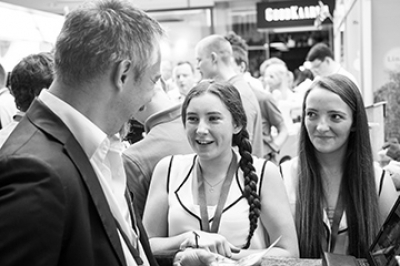 New generation – new businesses? Join us online with #EEhubEU! This website is part of the project The European Entrepreneurship Education NETwork (EE-HUB.EU) which has received funding from the European Union’s COSME Programme (2014-2020).